Everyone knows (or should do) that we have to be licensed to work on gas, but there is nothing to stop anyone calling themselves a plumber in the UK. There is a lot more to plumbing than joining pipes together without leaks. Poor plumbing is just as dangerous as poor gas work. The advent of clean water and proper sewerage systems was hailed as the biggest single contribution to improving the health of our nation, eradicating many of the diseases that killed people in their thousands in years gone by. Wholesome water is supplied to our homes by the water companies and there are regulations (The Water Supply (Water Fittings) Regulations 1999) to prevent inefficient use of water, the waste, misuse, undue consumption, incorrect measurement of it and, most importantly, to prevent contamination of drinking water supplies. As a member of the Chartered Institute of Plumbing and Heating Engineering (CIPHE) and Watersafe we have proved our knowledge of the regulations and committed to work to the correct standards. Would you want to be drinking or cleaning your teeth in Category 5 fluid? I doubt it, but this can happen if proper precautions are not taken. 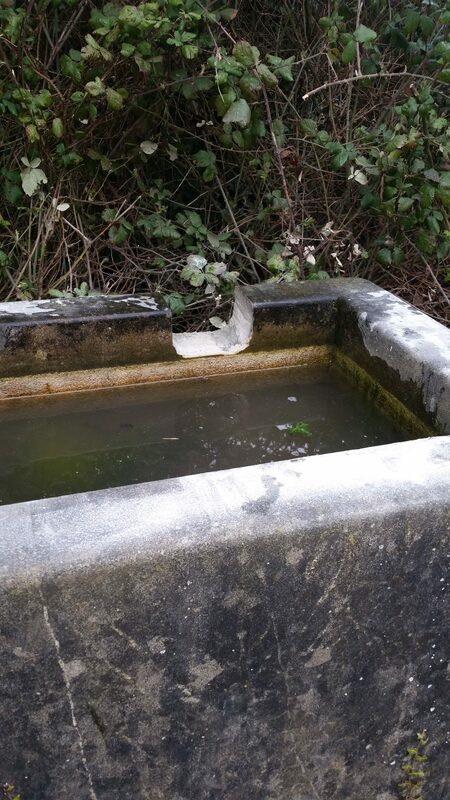 This horse trough was installed in 2000 in contravention of the Water Regs. The trough is open to the elements and contains waterborne insects, it could also contain animal waste as well as decaying plant matter. 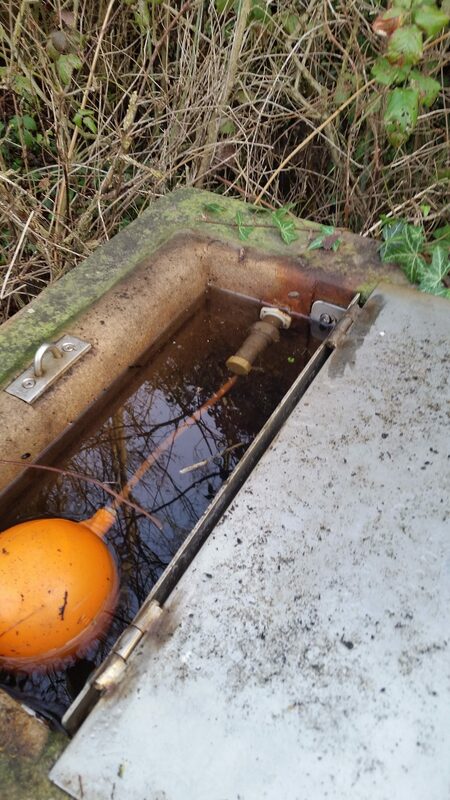 The inlet valve is below the water level, meaning there is a risk of back-flow from this Category 5 fluid. 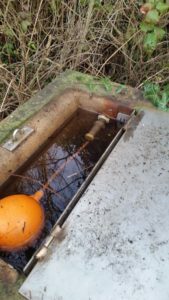 In order to make it comply we cut a weir in the side to ensure an air gap. 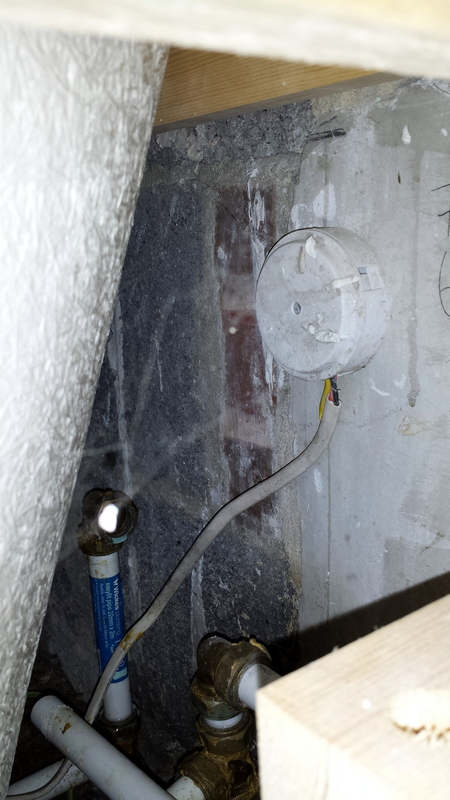 Now it is impossible for the water level to rise to with 40mm of the inlet, ensuring there is always an air gap. Other common contraventions that we see are shower hoses that are long enough to dangle into the bath or toilet and outside taps with no check valve both of which could siphon dirty water into the main via the hose pipe. So next time you are thinking of doing some DIY plumbing, you may want to consider whether it is worth the risk to yours and your family’s health. The answer is when it is with O2. Like millions of others I have a mobile phone ‘contract’ with O2, whereby I agree to pay them a fixed sum of money each month and in return they provide me with a service and a set number of minutes, texts and data each month. The length of this ‘contract’ is 24 months, after which I am free to look elsewhere. What could be simpler you might ask? Well the problem is that O2 in their wisdom have decided to increase the monthly cost of my contract by 70p per month and there is nothing I can do about it unless I want to pay a huge penalty to cancel the contract which still has 18 months to run. I don’t think this is fair and neither do OFCOM who have brought out a new rule that allows subscribers to cancel their contract without penalty if the service provider increases the price. The only bugbear is that O2 have decided that this will only apply to new customers and not existing ones who have been loyal to O2 for many years. You may think that the increase is such a paltry amount that it is not worth worrying about, which is a valid point, however with an average increase of £1 per month, O2’s 8 million customers will be ploughing an extra £96 million into their profits. O2 should do the decent thing and back pedal on this unfair act or they may find that a significant proportion of those 8 million vote with their feet when contracts come to an end. On our travels we are used to seeing all sorts of sights. As we cover rural parts of Berkshire we see various forms of wildlife quite regularly, rabbits, dear, foxes, red kites, parakeets and herons are regular sights. Last week we were working in suburban Walton-on-Thames which nearly had to be re-labelled Walton-In-Thames due to the recent flooding. While working in a bedroom, changing a radiator, my young assistant happened to look out of the window and spot this fellow. 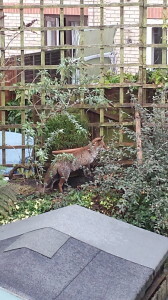 He had climbed on the roof of next door’s shed and then attempted to walk along the top of the fence between the two gardens, only to fall off and be chased by next door’s dog. 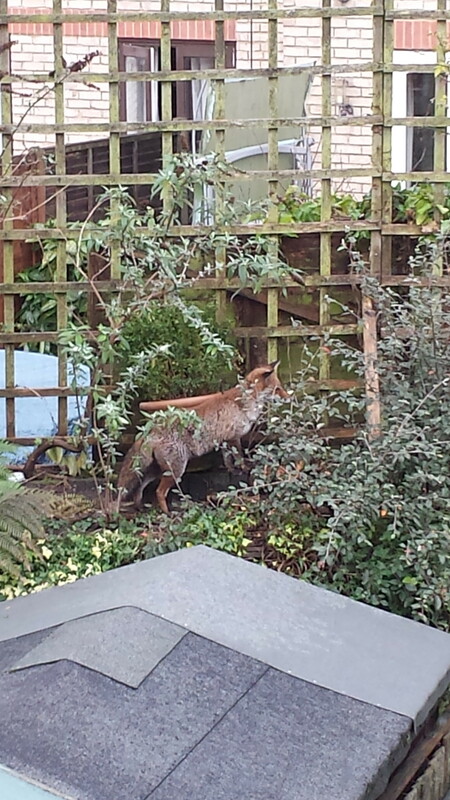 He jumped over the fence and up onto a bank at the bottom of the garden where he sat for a while to recover before trotting off on his way. On many occasions I have come across situations where wall tiles have failed, this is usually because of poor materials or workmanship. The two pictures above show the aftermath of what can happen. 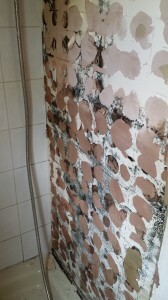 The left hand picture is a the wall of a shower cubicle where the tiling has failed, note the mould growth. The tiles were easily removed, virtually falling off. The right hand picture is the other side of the same wall, where the bath was situated. 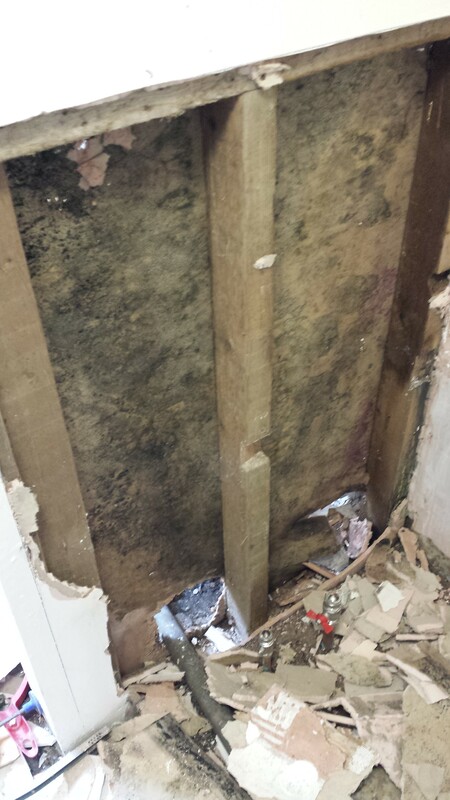 In both case the plasterboard was sodden and had deteriorated, meaning it had to be removed. There were several faults in this installation which led to the mess we see above. 1) Plasterboard is not a suitable substrate for tiling in wet areas. When we tile shower or bath areas we always use a cement based tile backer board. This is more expensive than plasterboard but in the event of water penetrating the tiles, the board will not fail. 2) The adhesive was applied in dabs on the back of each tile. Tile adhesive should be applied with a notched trowel, giving a complete bed of adhesive. 3) The adhesive and grout was not waterproof. It is important that the correct adhesive and grout is used in wet areas, otherwise water can penetrate with the results shown above. As an alternative to tiles, we are increasingly using laminate shower wall panels. These offer several advantages over tiles. 1) They come in large sheets, with no joints where water can penetrate. 2) The smooth surface is easier to keep clean than tiles. 3) There are no grout lines to go mouldy. 4) Installation is quicker as there is no waiting for adhesive to dry. Panels can be applied directly to timber studs without the need for boarding or repair of existing wall surfaces. The traditional form of wet heating in the UK is by way of radiators, but radiators have some disadvatages. 1) They don’ t radiate much heat. The majority of the heat is emitted by means of convection. Cold air at the bottom is warmed by the radiator and rises to the ceiling before circulating back to the floor. This means that the temperature in the room can vary. 2) They take up valuable wall space which can be at a premium in small modern homes. 3) They are made of steel which can react with oxygen in the water to create corrosion. An alternative which is becoming more popular is underfloor heating. Underfloor heating is by no means a modern idea, the Romans were using it in Pompeiibut underfloor heating has changed considerably since those days! Today the pipes used are usually made of plastic or multilayer composite pipes which are laid in one continuous loop in or under the floor. Traditionally under floor pipes were laid in the floor screed which meant they were only suitable for new build or major refurbishment projects. Modern overlay systems can be used for retrofit applications and only add a few milllimetres to the finished floor level. These overlay systems utilising engineered wood or other floor coverings are much quicker to respond than the screed systems. Underfloor systems have several advantages over radiators. 1) No wall space taken up. 2) They run at lower temperatures,using less fuel than radiators and making them ideal for renewable heat sources. 3) The heat rises evenly from the floor making the room feel more comfortable at a lower air temperature than a radiator system. 4) Warm floors are very pleasnt to walk on.